Borrowing and issuing of bond to stabilise the cedi is not something the Vice President who made very despicable remarks about handlers of the economy under the last administration, should be proud of. The idle situation should have been…with the more inflows as result of this government’s unprecedented appetite for borrowing from the international market, our real inflows should have increased which would have automatically increased our reserves and automatically increase supply of foreign currency in the local market. Basic economics principles will tell you that this may affect the performance of the local currency. Something is fundamentally wrong with the economy and the earlier Dr Bawumia and his team come to terms with that reality, the better it would be for the administration and country. Statistical indicators are like a woman’s bikini, they hide mask the most important detail, while revealing what, to a causal observer, seem like a whole lot. Take for example real economic growth rate: ,a measure of how much the economy grew in real term between 7th January and March 2018. Take a critical look at the quantitative measure. While it measures the total goods and services in the the given period, it does not say anything about how the quality of life of the average Ghanaian has changed, and whether or not available resources were used judiciously, transparently and beneficially by the administration. The growth noise we hear from Dr Bawumia and his collaborators is fake. The economic condition of the masses and other factors have unmasked the inherent propaganda in their economic growth jargon. The growth rate of an economy at any point in time is meaningless unless there is a context to the discussion and I expect Dr Bawumia to know this basic economic principle. Some ways of introducing context is to compare performance to to precious administration’s performance within same time perilous. 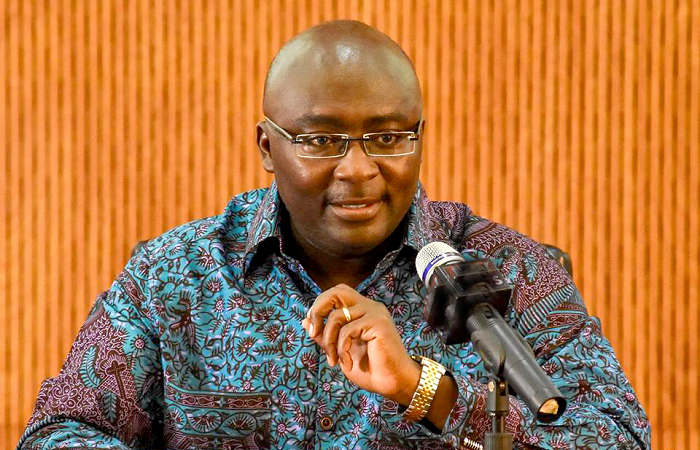 Dr Bawumia should tell us the contribution of oil on the economy, the service sector, gas and other resources on the economy under their watch, vis-a-vis what transpired under the previous administration within the period. The Vice President and his team are being economical with the truth but the sacred truth is that the system will continue to expose them. Maintaining the artificial stability last year was fast burning through the country’s US dollar reserve. In an attempt to stem the outflow, the central bank restricted the availability of US dollars to strategic imports oily, starving businesses of essential hard currency and deterring much needed investment. The World Bank accurately captured this weak economic reasoning and its effect on investment in its last report on Ghana’s economy. The economy is likely to suffer serious recession and rising unemployment if this administration continue with these artificial economic jokes. The dollar will continue to drain out of the system. I was expecting the PhD holder to bulldozer his way with scientific explanations…unfortunately, it was the usual “mix everything economics vibes”. Former President John Mahama was just reminding you of what you vehemently trumpeted in opposition and all were expecting you to come out with something more magical than the street-based explanation. President Mills inherited a huge ToR debt, workers salary arrears, the Kufour administration had decided to put GCB in divestiture as a result of debt distress, NHIS was virtually on its knees, the sponsorship for the school feeding programme had been withdrawn as result of corrupt practices of managers of the programme under Kufour, our infrastructure deficit was swallowing the system, the power crises was deteriorating. These were the difficulties the administration met. The Mills/Mahama administrations didn’t enjoy the chunk of oil and revenue this administration is enjoying. In 2015, oil prices plunged globally in the wake of rising oil production. Prices fell drastically from June 2014, plummeting to levels that market had not seen since the near total collapse of world trade during the Great Recession of 2009. In the United States and other advanced countries, workers were laidoff as a result of this oil prices fluctuations…but the Mahama administration absorbed these external pressure. It invested heavily in the oil and gas industries, and did same in the power sector resulting in the relative stability in our power supply. All these investments affect the local currency. The administration did not borrow just to stabilise the cedi for indicators show..rather, reinvested all borrowed finds into the areas mentioned. It all supported some local manufacturers of pharmaceutical products, poultry farmers and the youth through the YES initiative from these borrowed monies. -The stabilisation levy and the heritage fund. -The huge investment in the Telecommunication sector by the Mahama administration. Etc etc. This is not the best time for the economy as it is degenerating into a serious crisis. This “Paint for me to buy” propaganda by Dr Bawumia, the finance minister and certain state agencies would not help the country. Mismanagement of Energy sector, reckless spending, and bad investment are all contributory factors. May be Dr Bawumia and his cohorts have forgotten what they told Ghanaians when Ghana attained single digit inflation under the Mills/Mahama tenure. I listened to his spokesperson and couldn’t believe my ears. He attributed the cedi’s depreciation to external factors…same reason the previous administration genuinely gave which was vehemently rejected by Bawumia and his party. Prices of commodities, transport fares, fuel prices etc have been increasing since last year yet the statistical service and the economic management team tell us inflation has dropped. I am sure has read or reading comments under his post. After reading the comments,he should send his team onto our streets and would know the frustration millions are going through. Something is not right. Government is holding on to money and starving the private sector of cash. If government continue with these measures, we shall see more private banks collapse. Government affordability should not be the rod for measuring true inflation. The best place we could measure true inflation is the market place. Dr Bawumia consistently reminded the Mahama administration of this sacred truth so why is he so worked up. We are just reminding him of one of his core economic principles.